Having been to Altona in Hamburg recently I learned that, in 1868, they built a replacement harbour for Altona somewhere in Denmark. Who would have thought that Altona in Germany was once Denmark’s most important North Sea Port? The new port was built in Esbjerg in Jutland. Esbjerg is the main town for Denmark's oil and offshore activities and remains a working town. I decided to visit to experience how far away from Hamburg this harbour would be. I visit Denmark’s fifth biggest city to follow that story of the past, just to make it complete and to understand how interwoven Altona’s and Esbjerg’s history is. My expectations where rather relaxed, I thought this surely isn't going to be as exciting as a trip to the capital city Copenhagen. But as it happened this town is not how I expected it to be, it has indeed everything you would need for a relaxing trip. Esbjerg is what it is and slightly off the beaten track of most Denmark visitors. There is art, there is UNESCO listed nature, people are open minded and fun to talk to, there are cafes and restaurants, there is nightlife, there is stunning architecture and there is shopping. If you don’t mind to be in a place without a massive infrastructure for tourists but are comfortable to travel on your own you should visit Esbjerg. The town is a place where you get drip coffee at nearly every café, and not because it is hipster, but because ever since the first recording of coffee drinking in Denmark people always drink their coffee brewed like this. Have you ever heard of Jørn Utzon? You heard of him right? It is the architect of the Sydney Opera House. And this very same guy worked on the plans for the Musikhuset Esbjerg together with his son Jan Utzon. I walk around the impressive stark white building and let out a small scream, since I am so very surprised its façade is covered in the same tiles as the Opera House in Sydney. I didn’t catch a performance but just looked at the interior and the building, and it is well worth a visit. This property really is a photographers and Instagramers dream. In Torvegade, a little street right in the centre of Esbjerg, you find food stores and boutiques which sell mostly Scandinavian fashion. Most of the stores are run by their owners, and that creates a lovely atmosphere. This is almost unique in a world where usually it is all chain stores on high streets these days. There is nothing wrong with COS or & other Stories but it is nice to have a browse at independent stores. If you need more retail therapy make your way to nearby Kongensgade (longest shopping street in Denmark), it is only a few minutes’ walk away and offers everything one could wish for. At Jill & Joy you get Acne boots and the like. Top tip: If you are ready for an espresso based drink (one can only drink so much drip coffee right) make your way to Café Guldægget, this is also a lovely place for lunch. There is a lot going on in the centre of town, right on Torvet (the market square). A popular place is Dronning Louise, a heritage listed building which houses a pub, a restaurant (they have vegetarian options) and a night club with live music. On warm nights the market square is clearly the place to be. I find it interesting that age clearly doesn’t matter here, it is an awesome mix, and everybody from teenager to the elderly seems to have a great time, and often even together. The Hotel Britannia is another option for dinner and also an option if you would like to stay in a room with a view the market square. Their brunch style breakfast offers everything you need and more, as in yogurt, muesli, great variety of bread, croissants, pancakes and fruit. All of it can be washed down with as many cups of drip coffee as you are able to drink. Drive a few kilometres away from the centre of town and look at the sculpture Mennesket ved Havet (Man meets the sea in English) designed by Svend Wiig Hansen. It stands for the meeting of pure mankind and nature. The artist thinks that was when all went wrong, when humans got dirt on their hands. Is he a wise man? That statement is certainly food for thought. If you are at the beach in Esbjerg you look directly at the wadden sea, it is UNESCO heritage listed and part of the Nationalpark Vadehavet (Wadden Sea National Park in English). On the North Sea coast of the Netherlands, Germany and Denmark is the largest Wadden Sea in the world. All three countries have placed their part of the in total approximately 10,000 square kilometers of Wadden Sea under protection. The UNESCO committee puts the Wadden Sea on par with the Great Barrier Reef and the Okavango Delta and I can see why. The wadden sea is wilderness pure and is characterized by constant change of water and land. 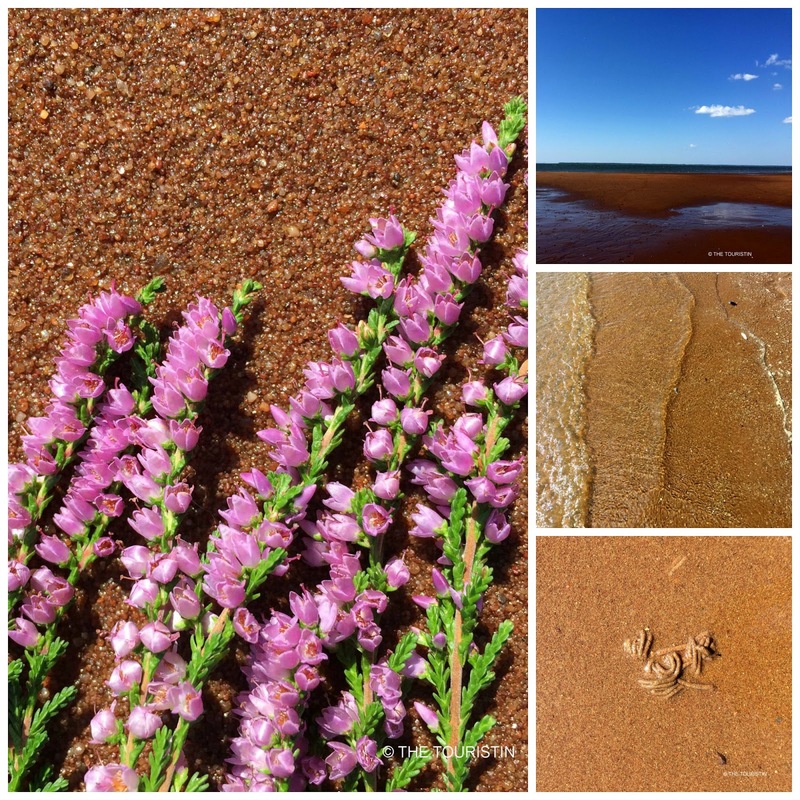 Walk through its mudflats, tidal creeks and shallow waters, and discover small sandbanks, dunes and salt marshes. There is nothing like it in the whole of Western Europe. Tides determine the rhythm of life in the Wadden Sea when twice a day the seabed falls dry. There are countless worms, mussels, snails and crabs, as well as small fish in the creeks, and of course the birds are so thankful for this paradise too. To walk barefoot through the mud flats is simply magnificent. I always feel true freedom being so close to nature. Start your walk along the beach in Esbjerg and after 9 kilometres you will reach the tiny village of Hjerting. Here the Badehotel is an excellent lunch spot with organically sourced food and a view of the glistening North Sea. Walk on along the beach of Ho Bay with a view of the Skallingen peninsula towards Sjelborg to have a break on the beach and go for a paddle. The red sand on Hjerting beach looks especially beautiful under a bright blue sky with its few big white clouds. Lucky me I just happened to be there when the tide went out and the clouds mirror in the wadden sea. As soon as the tide rises and the creeks run full of water it gets hard to see how to get back. Even if you see the tide approaching (the water is rising fast), and turn around to want to walk towards the shore, the strip of mud off the coast, can already be cut off from the land by the tide. Never let a creek come between you and the shore. Bathing in creeks or at sandbanks is dangerous because of the strong currents in the Wadden Sea. One can easily sink in the liquid and fine-grained sediment, and people then have to be rescued from silt sands. Sea fog can occur suddenly, even in glorious weather, and the visibility will be seriously reduced. It is best to walk out into the Wadden Sea with a ranger and if you would like to go on your own always check the tidal time table and carry a wrist watch and wear weather appropriate clothing. Esbjerg is an easy drive from Hamburg, it is only 270 kilometres away (whereas it is 290 kilomtres from Copenhagen, and you would need to jump on a ferry or plane to get there). True, relaxed, modest, unassuming are all great words to describe Esbjerg, a really good one would also be hyggelig. Hyggelig to me here stands for small but lovely and nice. In Denmark, everything that brings wellbeing is hyggelig. Marie Lahn - Torvegade 41, 6700 Esbjerg. Kasandra - Torvegade 39, 6700 Esbjerg. Incado - Torvegade 34, 6700 Esbjerg. Jill & Joy - Kongensgade 95, 6700 Esbjerg. Café Guldægget - Kongensgade 102, 6700 Esbjerg. Dronning Louise - Torvet 19, Esbjerg 6700. Musikhuset Esbjerg - Havnegade 18, Esbjerg 6700. Hotel Britannia - Torvegade 24, 6700 Esbjerg. Badehotel Hjerting - Strandpromenaden 1, 6710 Esbjerg. 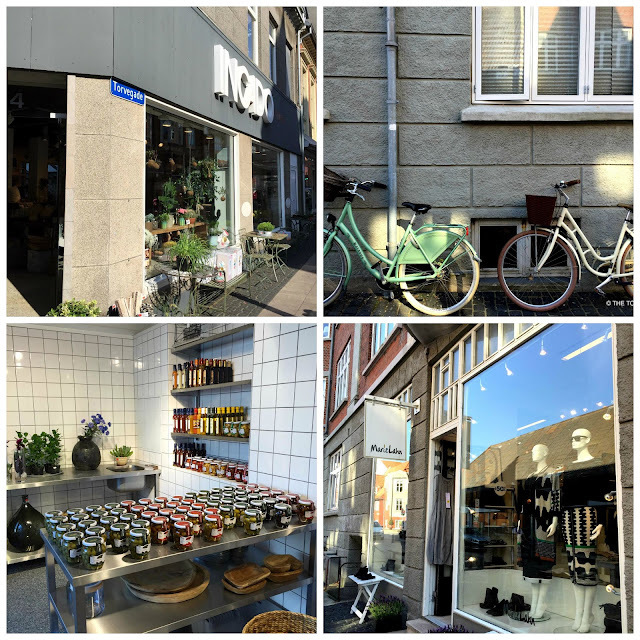 Hej Copenhagen – how I fell in love in just one weekend. 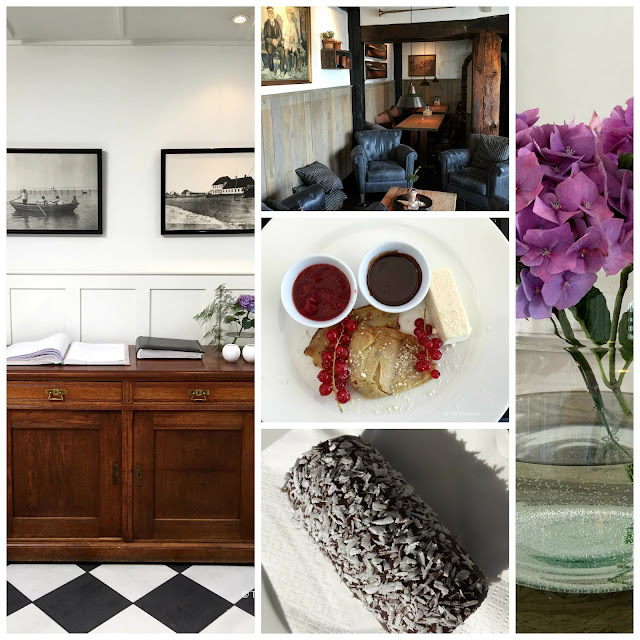 Hej Copenhagen – Stay at retro Hotel Alexandra. Copenhagen. Breakfast and a browse at TORVEHALLERNE.